Christina Clements discovered a passion for handcrafting and formulating natural soap and skincare in 2016 only after attending a short course in soap making. Christina went on to learn in more detail the art of making cold processed soap, which is the traditional method of soap making, but also develop her knowledge of how the mind & body could benefit from using natural ingredients. All products are handmade in Christina’s studio in Crouch End and all of the ingredients have been carefully chosen for their nourishing properties and are palm free. Butter Bar Soapery products do not contain preservatives and none of the ingredients have been tested on animals. 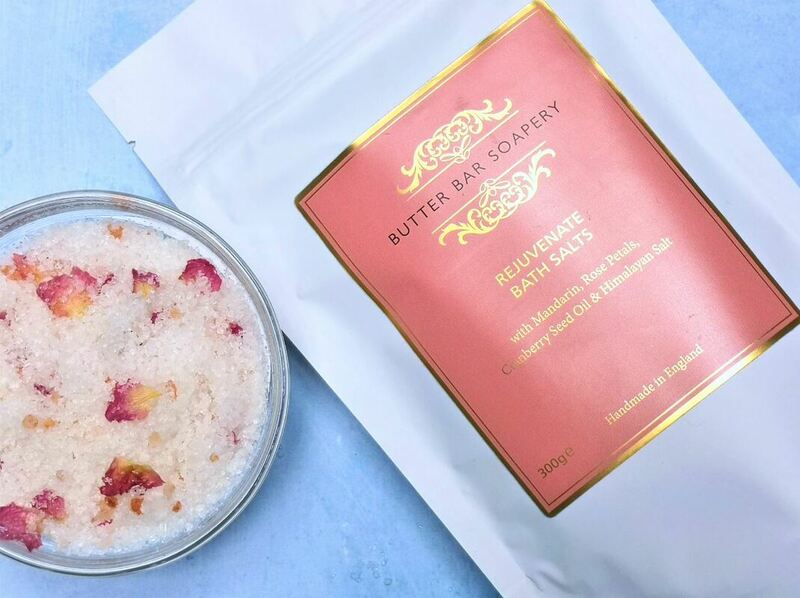 She uses a variety of oils, butters, salts, clays and botanicals to create clean, gentle, soothing and nourishing bath and body products that you can use to create a spa experience at home.